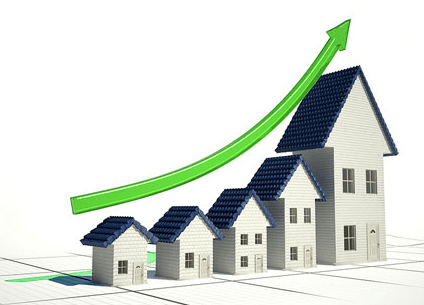 The Hampton Roads residential real estate market continues to experience encouraging trends. August 2012 results, such as a year-over-year drop in active listings and year-over-year increases in residential under contract sales and settled sales, combine to indicate a stabilizing local market. The number of homes listed for sale in the region has dropped almost 16% when compared to August 2011. This marks the 18th consecutive month that home listings have dropped over the previous year. Virginia Beach and Chesapeake experienced the largest year-over-year decline in active listings at 23.09% and 20.85% respectively. The region’s months’ supply of inventory is currently down to 7 months. A six month inventory is considered a balanced market so we are almost there. Sustained drops in residential active listings are the root source of this lower months’ supply. Homes under contract or pending sales increased 23.28% in August 2012, when compared to August last year. Chesapeake and Suffolk underwent the largest increases in residential pending sales at 40.08% and 34.83%. This boost in the number of homes that went under contract should lead to a large spike in settled sales over the coming months. Compared to the same month in 2011, closed home sale in the Hampton Roads area increased 16.74%. Suffolk and Newport News lead the region’s major cities in year-over-year increases at 33.7% and 22.4% respectively. August 2012 marks the sixth consecutive month that median home sales price in Hampton Roads has increased year-over-year. August 2012’s median sales price was $208,535, up 1.72% from $205,000 in August 2011. The distressed homes market (foreclosures and short sales) continues to show signs of improvement as well. Based on August 2012 stats. Distressed homes, those that are bank-owned or short sales, accounted for 24.74% of all listings. This marks the 10th consecutive month distressed homes have declined as a percentage of closed residential sales in Hampton Roads VA.
Psst…I’m a real estate agent.